African Development Bank Group, President Akinwumi Adesina, has declared that the future of Arica is very promising. He disclosed this in his open address to diplomats at a lunch organized in Abidjan. 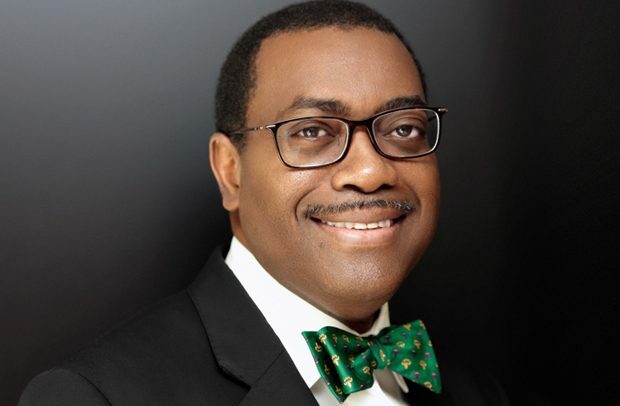 Adesina referred to the Bank’s recent flagship publication, the African Economic Outlook 2019, which revealed that the recovery in commodity prices is driving domestic demand and infrastructure investment, while real Africa’s GDP continued to improve in 2018 to 4.1 per cent. The bank expects growth of 4 percent this year and 4.1 per cent in 2020. For example, the agreement in March 2018 establishing the African Continental Free Trade Area (AfCFTA) will create the largest free trade area in the world. “The African Development Bank is at the centre of the actions taken to ensure the success of the continental free-trade area. “We have invested over $ 1 billion to support the financing of trade in Africa,” Adesina said. “This is why the African Development Bank, with its partners, launched the highly successful Africa Investment Forum (AIF), in Johannesburg, South Africa last November, securing investment interest in 49 deals across Africa worth over $38 billion in just two days. The bank was the lead lender for the construction of the historic Senegambia bridge linking Gambia and Senegal, which opened on 21 January 2019. And the Bank’s investment portfolio in Côte d’Ivoire has tripled in the last three years, reaching $1.8 billion in 2018. The bank is taking a lead role in the “Technologies for African Agricultural Transformation” (TAAT) initiative, which seeks to accelerate the dissemination of agricultural technologies throughout the continent, not only to improve yields but also to fight against the consequences of global warming and against pests, such as Fall Armyworm. “We need to achieve universal access to electricity. We need to help Africa to become self-sufficient in food. We need to achieve a fully integrated continent. We need to industrialize Africa and improve the quality of life for its people,” Adesina added.